Couples twist across a wood floor to the melancholy sounds of tango music, swaying and swivelling in a dance that comes from far away. 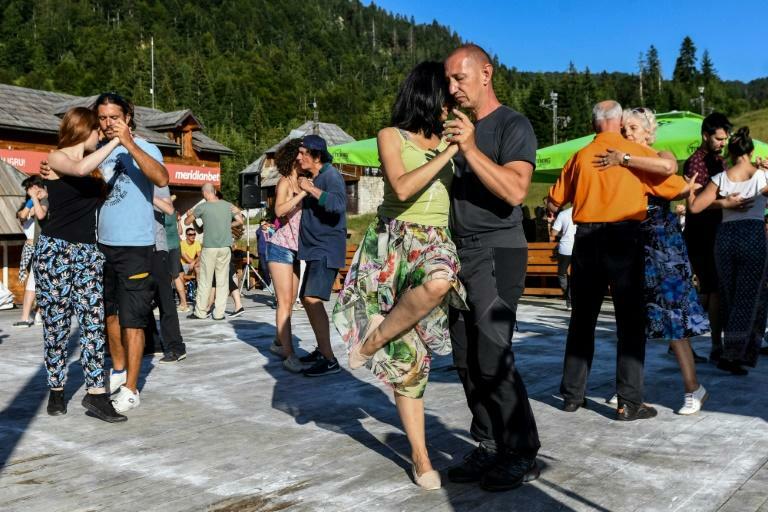 The hours-long dance session, known as a milonga, is not in Buenos Aires but at the base of a ski-slope in a small Montenegrin town that has become the unlikely host to a thriving tango scene. "We call this 'Tango Woodstock'," said Darko Dozic, a lanky 36-year-old who brought the Latin dance to his hometown of Kolasin in Montenegro's rugged north. 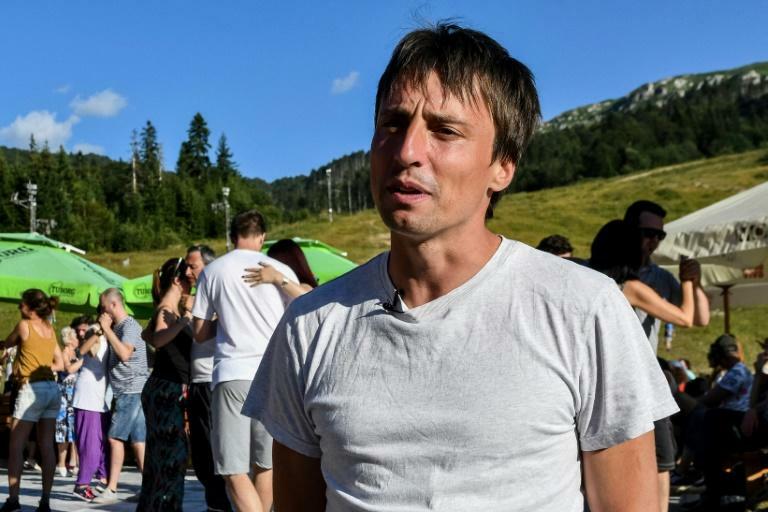 Now in its eighth year, some 600 people from around the globe come every summer for nearly three weeks of 'tango therapy' in the mountains of the Balkan country. The Tango Camp has become a badge of pride -- and welcome source of cash -- for a town of fewer than 3,000 people trying for a place on the tourism map. Although tango has travelled far beyond its birthplace in Argentina and Uruguay, convincing a traditional, tight-knit Montenegrin community to embrace the sensual Latin dance was not easy, says Dozic. After catching the "tango bug" abroad, Dovic thought the dance could help cure a depressed mood weighing on many childhood friends back home, where Montenegro's economic doldrums set the tone. He started by converting former basketball teammates into 'tangueros', and went as far as giving what he called "motivational speeches" in cafes to try to convince other locals to join in. "It was challenging," he told AFP, recalling how many people were put off by a foreign -- and intimate -- dance that clashed with the Balkan town's more stoic, macho sensibility. Groups of men "would come to watch a dancing event, many of them just to challenge us, smiling, pointing, drinking", he remembers. "Little by little, tango started to pull some people in this city out of the shadows," said Dragana Scepanovic, a local journalist. "That is the most valuable part of tango camp: some people who were hiding behind the walls of their homes, who did not have the courage to show themselves in such a social context, began to dance and help start something new in Kolasin," she added. "Once you motivate people, they become extreme, dancing all the time," said Dovic. Agustin Luna from Argentina said he "never imagined that there could be tango fans (in Kolasin) and that people could dance tango so great." "Here, I feel like I'm at home," the Argentine added, strumming a charango on the sidelines of the milonga, where dancers trade partners throughout the night. Dozic and his partner, Sonja Zivanovic, see tango as a form of catharsis and therapy -- something agreed by doctors who have turned to tango to ease ailments ranging from depression to Parkinson's disease. Dancing tango requires mental focus and it also famously "takes two", encouraging connection with another person. Elsewhere, tango has been used as a form of exercise to help Parkinson's patients with balance and coordination. Bojana Markovic, a psychotherapist who came to Tango Camp from Belgrade, described the dance as a "simulation and metaphor of life." "You grow personally and learn a lot about yourself by listening to your body, and listening to the signals you're sending, the way you're receiving information," she told AFP. In addition to dance workshops and daily milongas, including one in Kolasin's town square, the camp offers meditation, yoga, hiking and other excursions in the surrounding mountains. But today their presence is increasingly welcomed by hotels, restaurants and stores happy to have a bustling business in summer, a time when most tourists head straight to Montenegro's Adriatic coast. Jasmine Salihovic, a shop owner who grew up in Switzerland and moved to Kolasin a few years ago, describes how tango has helped locals realise "that they can think free, they can act free." "Here in the Balkans I think this is something that must be done... and we definitely can feel it happening here." The town's former mayor, who finished her term in July, wants to see the tourism grow. "Kolasin has a lot of natural beauty that people can enjoy in combination with tango," Zeljka Vuksanovic told AFP.